Surkhi is called as Trass, or brick-dust in England. Surkhi is used as a substitute for sand for concrete and mortar, and has almost the same function as of sand but it also imparts some strength and hydraulicity. Surkhi is made by grinding to powder burnt bricks, brick-bats or burnt clay ; under-burnt or over-burnt bricks should not be used, nor bricks containing high proportion of sand. When clay is especially burnt for making into surkhi, an addition of 10 to 20 per cent of quick lime will improve its quality ; small clay balls are made for burning. 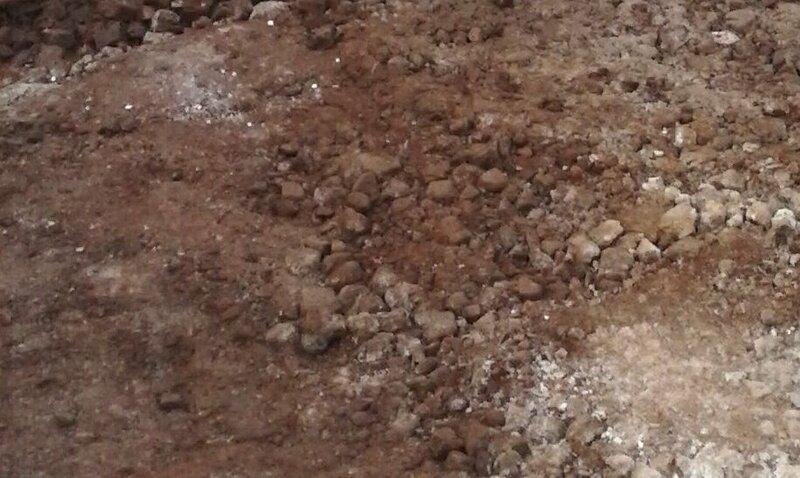 Surkhi for plaster may be made from slightly under-burnt bricks, and ground very fine ; this will improve the hydraulicity of fat lime. Surkhi must be well mixed with lime, preferably in a mortar-mill. (Test for under- burnt bricks is that they should not dissolve in water). Surkhi mortar gains strength if left immersed in water. Surkhi is not suitable for plaster exposed to weathering and humid conditions. Pozzolana—Is a volcanic substance found in a number of places but named from the deposits at Pozzuoli near Naples in Italy. 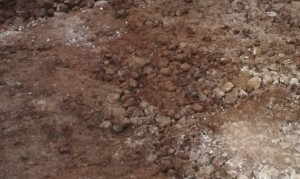 It is mixed with lime to produce mortar. It is manufactured artificially in India by burning some types of clays and grinding it very fine. It is more or less like Surkhi. It can be used in all situations where surkhi can be used to give superior performance. Surkhi mixed with lime and water. A weathering coarse. Surkhi makes cement mortars and concretes more water proof, more resistant to alkalies and to salt solutions than those in which no surkhi is used. Surkhi mixed in cement concrete has been used in some of the big dams and other massive works in India. This admixture is known to reduce the temperature rise during hydration in a mass cement concrete and reduce cracking. It is also useful in sea-water construction, in structures which are subject to attack from aggressive ground waters or industrial waters, and in hydraulic structures where water tightness is the first consideration. Surkhi mixed cement concrete is more plastic, bleeds less and segregates less as compared to ordinary cement concrete. A surkhi concrete of 25 to 50 mm slump is just as readily placed as a corresponding straight cement of much higher slum. The proportion of surkhi recommended is 10 to 30 per cent of cement (cement will be proportionately less) but it must be ground as fine as the cement. Surkhi should riot be added to aluminous cements. Surkhi is added both in mortar and concrete. The addition of surkhi is accompanied by slight reduction in strength as surkhi attains its full strength only after one year. Surkhi concrete is subject to a slightly higher shrinkage than ordinary concrete. Surkhi is not a standerdized produce and its properties are widely variable.